1. I seek to get my heart into such a state that it has no will of its own in a given matter. When we are ready to do the Lord's will—whatever it may be—nine-tenths of the difficulties are overcome. 2. Having done this, I do not leave the result to feeling or simple impression. If I do so, I make myself liable to great delusions. 3. I seek the will of the Spirit of God through, or in connection with, God's Word. The Spirit and the Word must be combined. If I look to the Spirit alone without the Word, I lay myself open to great delusions also. If the Holy Spirit guides us, He will do it according to the Scriptures, never contrary to them. 6. Thus, through prayer, the study of the Word and reflection, I come to a deliberate judgment according to the best of my ability and knowledge. If my mind is thus at peace and continues so after two or three more petitions, I proceed accordingly. I have found this method always effective in trivial or important issues. First, it is essential that we be completely dedicated to God's high honor and surrendered to the Lordship of Jesus Christ. God will not lead us except for His own glory and He cannot lead us if we resist His will. The shepherd cannot lead a stubborn sheep. The evil practice of using God must be abandoned. We must submit ourselves joyously to God and let Him work through us to achieve His own ends. ● Those concerning which God has said an emphatic "no." ● Those about which He has said an equally emphatic "yes." ● Those concerning which He wants us to consult our own sanctified preferences. ● Those few matters which require special guidance from the Lord to prevent us from making serious mistakes. First, put this down as an unfailing rule: Never seek the leading of the Lord concerning an act that is forbidden in God's Word. To do so is to convict ourselves of insincerity. 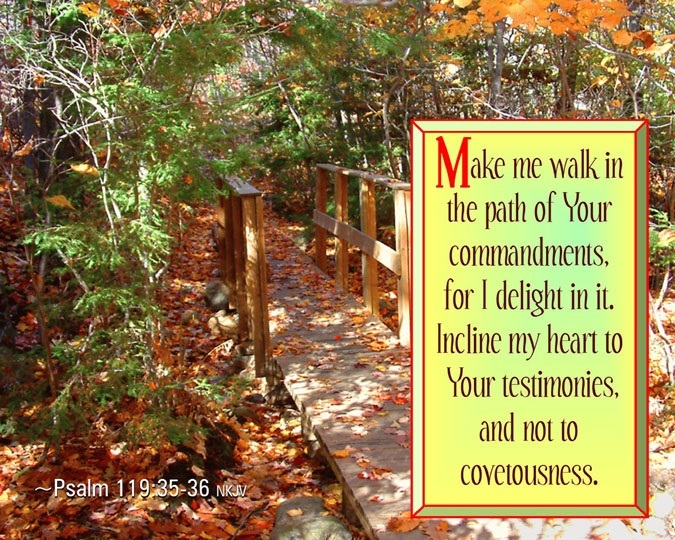 Again, prophet, psalmist, apostle and our blessed Lord point out the way of positive obedience. His yoke is easy, His burden is light, so let this be the second rule: Never seek the leading of the Lord concerning an act commanded in the Scriptures. Now, a happy truth too often overlooked in our anxious search for God's will is that in the majority of decisions touching our lives God expresses no choice but allows us to choose our preference. Some Christians walk uncertainly, worrying about which profession they should enter, which car they should drive, which school they should attend, where they should live and other such matters. The Lord has set Christians to follow their own personal bent, guided only by their love for Him and their fellow men. It appears more spiritual to seek God's leading than to do the obvious thing. But it is not. If God gave you a watch would you honor Him more by asking Him for the time of day or by consulting the watch? Except for those things that are specifically commanded or forbidden, it is God's will that we be free to choose. The shepherd leads the sheep but he does not decide which tuft of grass the sheep shall nibble. Touching our life on earth God is pleased when we are pleased. He wills that we be as free as birds to soar and sing our Maker's praise without anxiety. God's choice for us may be any one of a score of possible choices. The Christian who is wholly and joyously surrendered to Christ cannot make a wrong choice. "If any of you lack wisdom, let him ask of God, that giveth to all men liberally, and upbraideth not; and it shall be given him. But let him ask in faith, nothing wavering" (James 1:5,6). "Thus saith the LORD, thy Redeemer, the Holy One of Israel; I am the LORD thy God which teacheth thee to profit, which leadeth thee by the way that thou shouldest go" (Isaiah 48:17). Take your problem to the Lord. Remind Him of these promises. If you are dedicated to God's purpose, He will not permit you to make a mistake.